GateGuard.xyz The Face Recognition Intercom & AI Doorman ™. 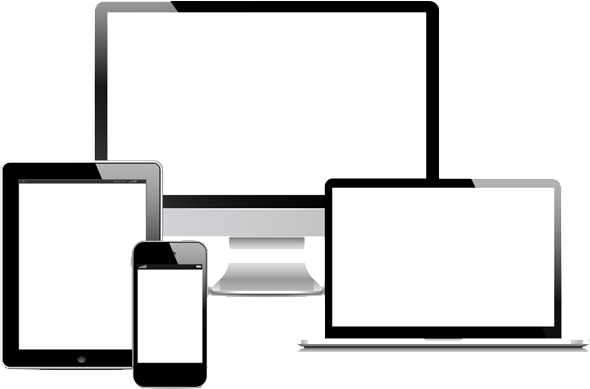 Get a FREE Device & FREE Installation today! How many buildings do you own/manage? Note: 3 building minimum. Condo/coop through management co only. 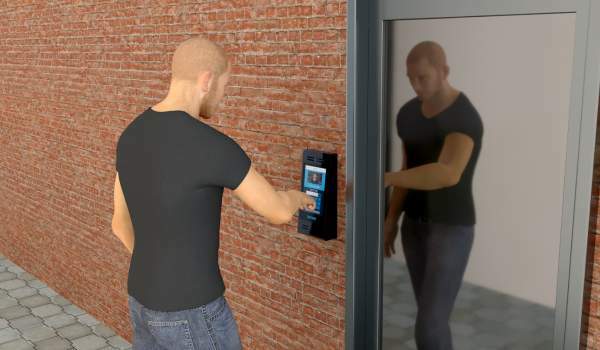 "GateGuard is notably cheaper than most virtual doormen or voice intercom systems." Staff & residents can unlock the door from their phone, smartphone, tablet, in-unit monitor (optional), or computer. You control who has this feature, and every visitor and code use is logged and photographed. No more running to the building to provide access, no more lockouts, no more keys to copy or replace. Plus, you can be sure vendors and brokers show up on-time. GateGuard recognizes tenants and staff and tracks every face entering your building, so you have an accurate and searchable log of who entered and when. We use our own proprietary, industry-leading face recognition and detection artificial intelligence algorithms you won’t find anywhere else. Catch folks who have frequent guests with luggage, and those who aren’t entering the building for weeks and months at a time. You can use the full-color HD logs and photos in court to win back valuable apartments. Say goodbye to package complaints. GateGuard tracks every single courier and delivery person, so you know when and who showed up to the building, who let them in, and to whom they delivered. You can also give trusted couriers access to a trackable package room, closet, or locker system to add extra security to your packages. With LookLock.xyz you can enable the courier to deliver into individual units, too! Residents and staff can video chat with visitors in full color HD from any smartphone, tablet, or optional in-unit device. Every entry, buzz, visitor code use, delivery and action with the intercom is logged and photographed in HD color, so you can see exactly what’s going on at your doors, and generate logs you can use in court or for management purposes. There’s nothing for you to do. Just sync your tenant data, management platform, or upload a tenant list and the system does everything else for you, including generating and sending tenants instructions in English and Spanish (and any language you need). You do not need to photograph the tenants, or even be at the building, for them to enroll. Everything is done at the device and on our cloud. Every entry, visitor code, and buzz is handled by our system with no effort required by building management. The device is vandal proof, waterproof, and impact resistant. It is active in the roughest neighborhoods of NYC and so far with thousands of tenants and guests using it it’s never broken or failed! We’re so sure it’s reliable we insure it at no extra cost! The system can run entirely wirelessly, with tenants using phones, smartphones, or tablets. We can provide optional in-unit devices, which can be wireless or wired. GateGuard is fully impact resistant, water-resistant, and secured with industrial anchors. We’re so confident it’s unbreakable we insure it at no additional cost! Cut your building’s internet bill and plug your boiler, water, and camera monitoring systems into GateGuard’s built-in wireless router, which is fast enough even to stream video clips from your security cameras! We’re so confident GateGuard is unbreakable and resilient that we provide insurance at no additional cost. If a device is ever smashed or destroyed, we’ll replace it! (To prevent abuse, such as folks painting over it, etc., there’s a small deductible of $689, but you’ll never need to pay full price to replace a device!). GateGuard autonomously tracks everyone who enters, buzzes, or uses a guest code, and generates logs you can view, filter, and print from any mobile, tablet, or computer. Catch forbidden activity, illegal sublets, dorms, groups, parties, non-primaries, and use the logs in court to evict bad actors. GateGuard is the best solution we've seen for guest and delivery tracking, for unattended and attended buildings. The technology is superior and the team is always there to be helpful. 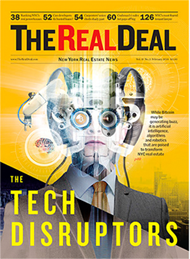 The Real Deal featured GateGuard.xyz and our founder Ari Teman in its Feb 2018 cover story on real estate tech disruptors. When can I get a mine? These will ship about 90 days from your order (or less, we hope!). We test every device, check it with our cloud, put it through different temperatures, and ship them out. You can (it's really easy & fast!) or we can send someone. Do I need WiFi or internet at the building? No. We provide a cellular connection. It's free as long as you don't exceed 1 GB/mo! How do I control and view activity? At PropertyPanel.xyz (which we also created) with your web browser or most computers, phones, and tablets. Will you integrate with an existing intecom? What about people with no smartphones? They can use the Teman TAB 700 Android Tablet which has our app & GSM SIM card. The prices on our site are the only prices & terms we offer. Our monthly plans include insurance! What if the device fails on its own? We'll repair or replace it. If it's more than 3 years old the insurance deductible may apply. Can people use this to host on sites like Airbnb / VRBO / Booking.com? If they do you'll know very quickly and can evict them (or raise their rents)! Can I use this on an office building? Can I resell your stuff? We build everything from the ground-up to work with multifamily & commercial properties, together with the advice of top law firms & designers. We do all our own engineering. You get: Superior techonology, strong redundancy, extreme security, powerful data, and backup across multiple networks, and better service. Can I get a refund or return this? This offer is a no-refund, no return, no cancellation sale. We'll do our best to make you happy, though! What do you have against shnauzers? Why does a dog need a beard? What is it hiding? Monthly plans are paid yearly. If someone breaks your device (which is really tough to do!) we'll replace it. Shipping & Tax not included. Security Deposit and Gold Plan service required. 360 Month Contract. 24 months paid upfront on install. No refunds or cancellations. 100+ units requires Platinum plan. 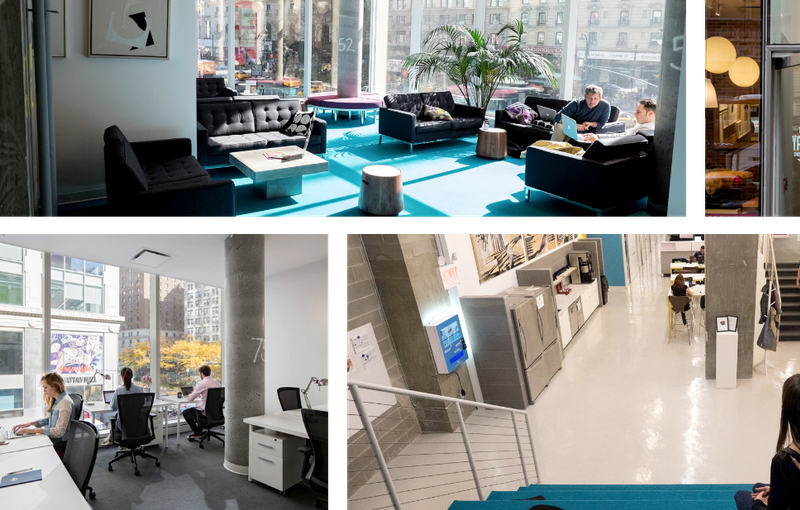 Teman is a mission-driven, engineer-led firm headquartered in New York City, with team across the USA, Tel Aviv, and Eastern Europe. We create proprietary, world-best technology that helps over 100 of the world's top landlords and management companies be proactive instead of reactive -- alerting them to issues before they become problems. NYC's most comprehensive real estate platform. Find, Analyze, Manage, Service, Sell, Collaborate... all from one panel.